Businesses in Blyth’s downtown core may see some relief from the thrice-weekly scheduled snow removal schedule North Huron implemented several years ago, however the sentiment from the outgoing council was the suggested changes don’t go far enough. During council’s Monday night meeting, Public Works Director Sean McGhee presented a modified schedule that would see snow removal on Blyth’s main street and its accompanying sidewalks more often. Snow would be removed from Queen Street, between Drummond and King Streets, up to five times a week provided minimum maintenance standards had already been met throughout the municipality. What that means is, provided the rest of the roads in the municipality are passable and able to be open, snow removal crews will remove snow from Blyth’s downtown core every weekday. Snow removal for the shoulder blocks will also be done when operationally achievable on Queen Street through Westmoreland and Wellington Streets. McGhee said there will be challenges to making the schedule work, specifically pointing to labour laws that prevent staff from working too many hours either in a single pay period or consecutively. To have the roads cleared every day, McGhee explained, requires one member of the Blyth road crew on at 3 a.m. and the rest starting by 4 a.m., meaning staff workdays, when snow removal is necessary, end at 11 a.m. or noon, limiting the work that can be done outside of snow removal. McGhee said the change won’t see other wards shortchanged on snow removal, but will limit additional work that can be tackled, like tree limb trimming. 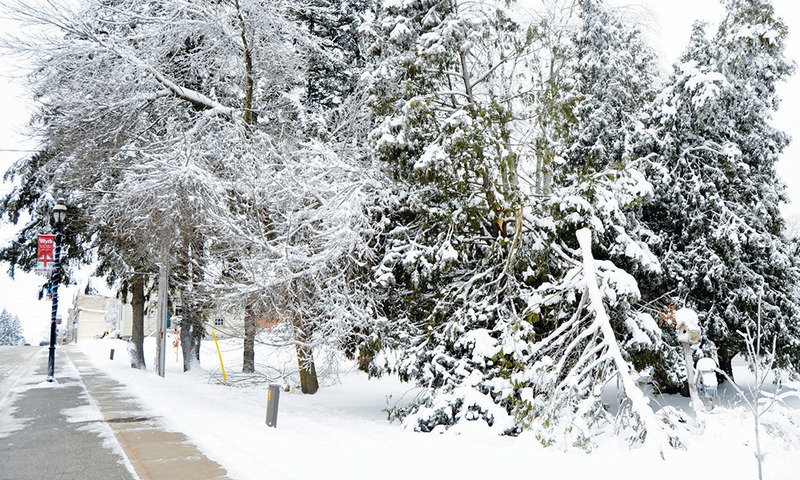 While the proposal was welcomed by council members, some, including Councillors Brock Vodden, John Stewart and Trevor Seip, said that not having snow removal available for the weekend could have a negative impact on events held in Blyth. 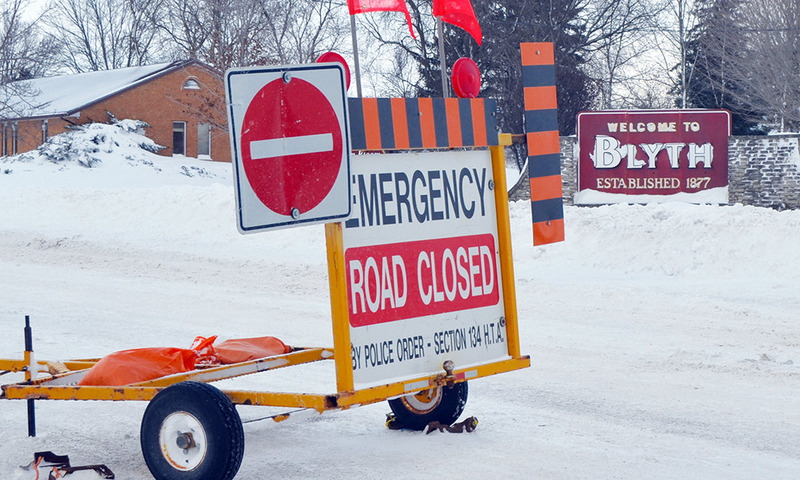 Seip said that the snow removal isn’t necessary for comfort or ease, but for safety during events that see many people park in downtown Blyth. He said if Queen Street was the same width as Josephine Street, there wouldn’t be as much of a concern, however Queen Street is very narrow and any snow can result in limited traffic passibility. Stewart said that with any snow on the roadside, there can be situations where vehicles, especially trucks, can’t use the space at the same time. He said even two cars passing each other need to exercise caution. Vodden said the issue was caused by a change years ago when Blyth got rid of angle parking and narrowed the street to create wider sidewalks. He suggested that removing the expanded sidewalks, essentially the brickwork at the roadside, could help the problem. Council received McGhee’s report, which stated that the changes could take effect as early as Dec. 15. McGhee did add a caveat, stating that it could result in significantly higher snow removal expenses in Blyth, or it could have no expense at all if the winter was a milder one. Vincent agreed, stating that if there is a significant increase, the next council may need to consider some kind of area-rating to address overages. As far as weekend snow removal, council suggested bringing the issue up with the next session of council, set to be installed at its first meeting in December. Vodden did not vote in favour of receiving the report, stating that it didn’t address the problem entirely.